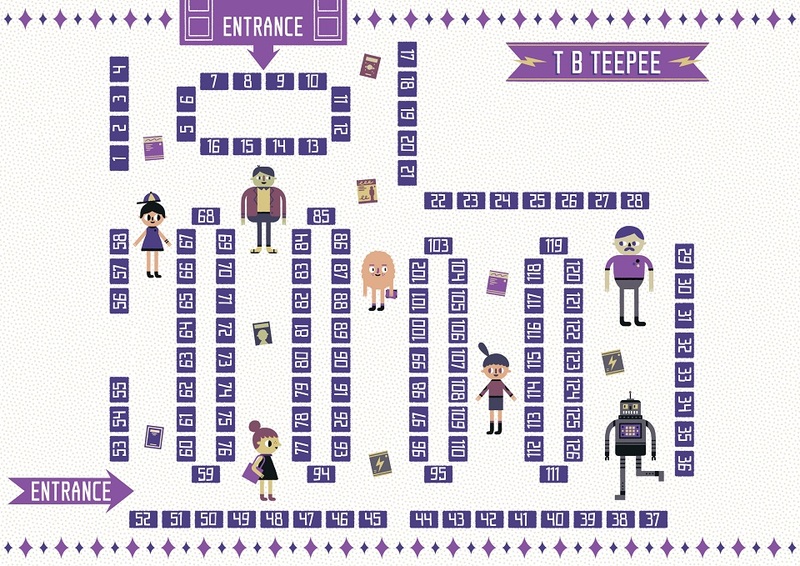 Coming Soon: Thought Bubble 2014! It’s been a fun convention year for me, hitting my local shows at Glasgow Comic Con in July and MCM Scotland in September, then traveling to New York Comic Con in October. And as has become tradition, the convention year will come to a grand close with Thought Bubble in Leeds. Held at Royal Armouries over the weekend of Saturday 15th November to Sunday 16th November, it’s always a great show with a buzzing atmosphere, and this year promises to be the biggest ever, with an array of high profile guests including some of the hottest names in comics. Oh, and I’ll be there too. You’ll find me at Table 77 in the TB Teepee, the brand new exhibitor venue on the Royal Armouries campus. I have a table of my own this year, partly because the amount of comics I now have available for sale is spiralling madly out of control and can no longer be contained to a half-table. But though it says “John Lees” on the marquee, this is very much another case of “John Lees and Pals”, as I’ll be joined by some awesome guests. And Then Emily Was Gone #1-#4 will all be on sale from my table, as will a selection of exclusive prints based on the series’ eye-catching covers. This horror-mystery series tells the story of Greg Hellinger, a former detective plagued with monstrous visions, whose search for a missing girl takes him to the Scottish Orkney Islands, where strange and terrifying things are happening. This has been a breakout hit this past summer and really seems to have built up a bit of momentum, so I’m really excited to bring it to Thought Bubble and hopefully introduce it to some new readers just in time for the final issue coming out a couple of weeks after the con. 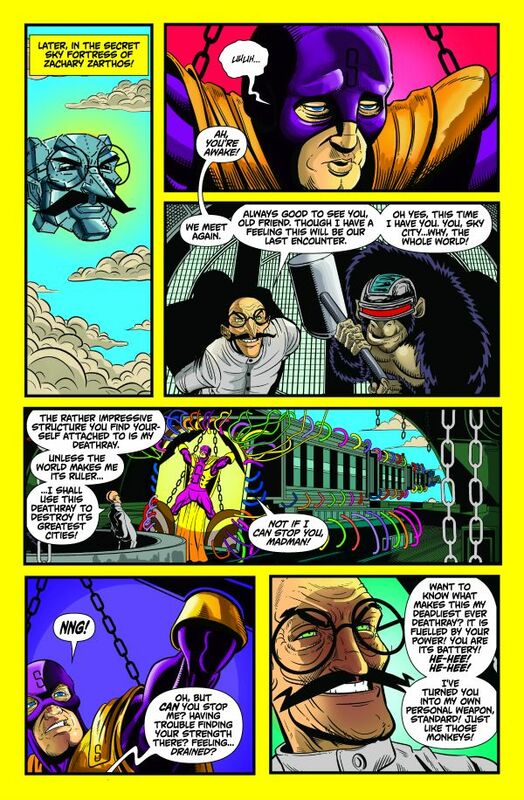 To represent the book, I’ll be there, and so will Iain Laurie, the incredible artist of the series. He’ll have some original art from the comic for sale, and is doing sketch commissions too. I’ve seen him work on the show floor first hand, and trust me when I say an Iain Laurie convention original is something any serious comic art collector is going to want to add to their repertoire…. a sight to behold! Iain will be at my table for most of the weekend. And Then Emily Was Gone letterer Colin Bell will also be on-hand at the show… he’ll be at his own table in New Dock Hall, table 161, selling his own excellent comic, Dungeon Fun, so when you stop by his table to buy that make sure to get him to sign your copies of And Then Emily Was Gone too! I’ll also have, for the first time at Thought Bubble, the entire series of The Standard available to buy. The Standard #1-#4, and the double-sized finale, The Standard #5. The Standard is the award-winning story of a superhero legacy that spans across two generations, and the interconnecting lives of the men who have worn the mantle. Supplies of issue #1 are VERY limited, so make sure you get to the table quick if you want to pick up a copy. Also in attendance at the show will be Will Robson, a highly-talented artist who joined the series as co-artist for issue #5. He’ll be at my table signing and sketching from 12:00-1:30pm each day. When he’s not at my table, you’ll find him at his own table in New Dock Hall, table 181a. I’m really looking forward to Thought Bubble, and can’t wait to meet up with friends old and new and spread the word about my comics. If you’re at the show, please stop by Table 77, TB Teepee, and say hello!